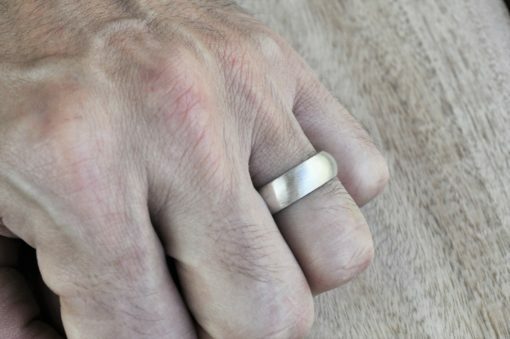 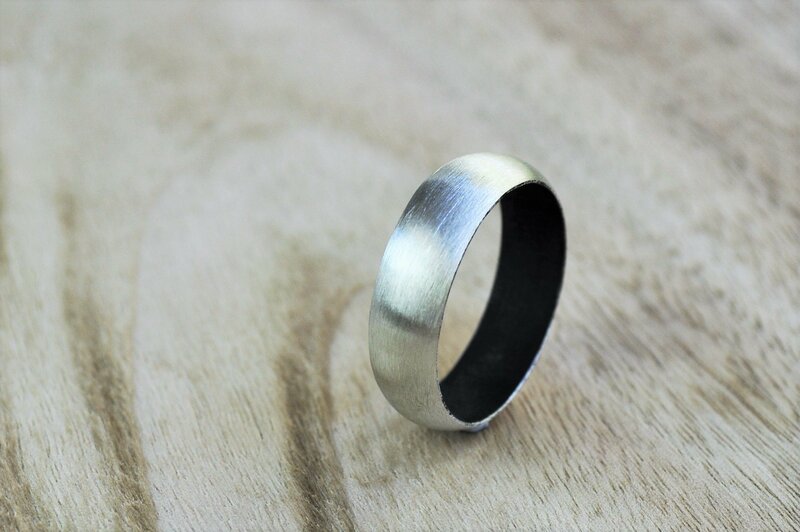 Home / Wedding Rings / Matte Weding Rings / 7mm Wide Two-Tone Men’s Wedding Ring. 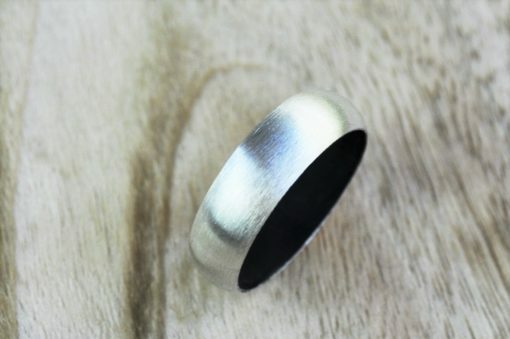 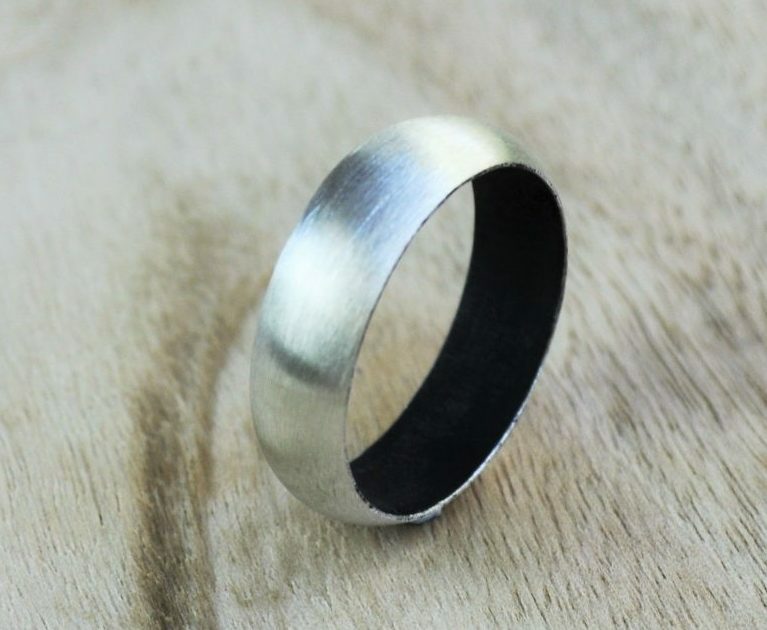 An eco sterling silver wedding band with a brushed, matte finish on the outside, and a black oxidised finish inside. A modern, minimalist band with a striking two-tone look. 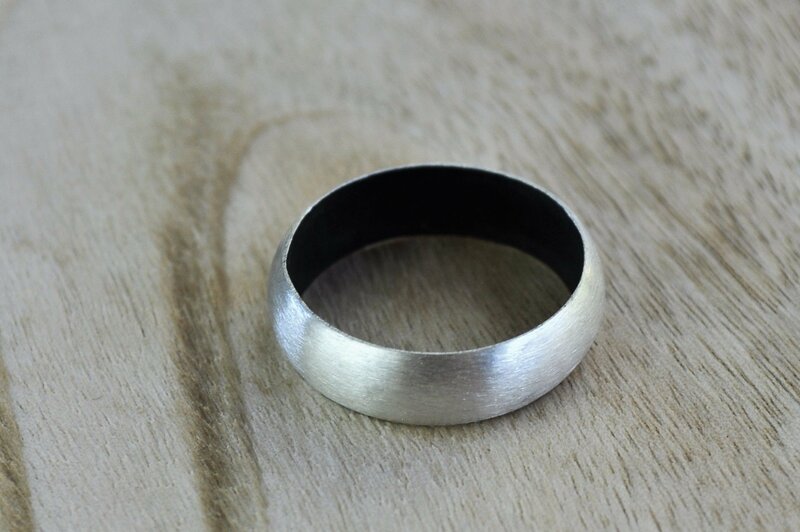 Has a half-round profile, and is a generous 7mm wide. 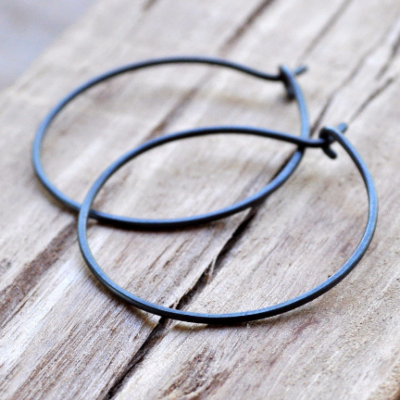 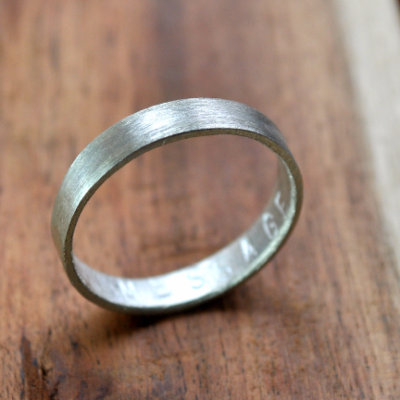 This ring is made in Australia from 100% recycled sterling silver, and is 7mm wide. 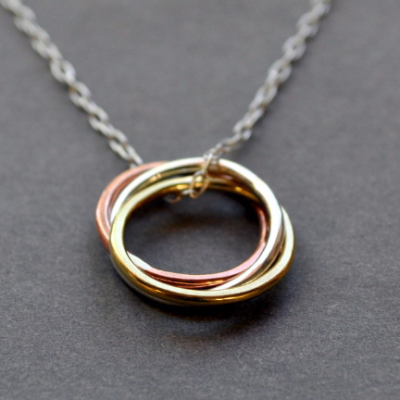 You will receive one ring.